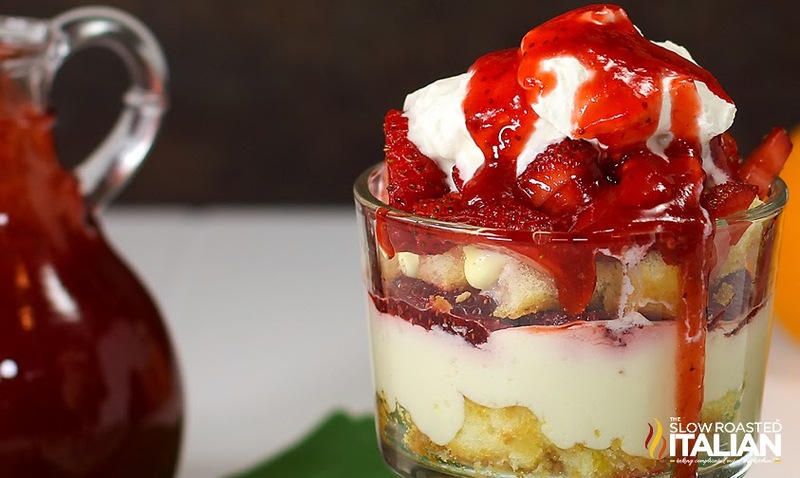 The trifle of your dreams combines all your favorite things about the classic Italian tiramisu, the Grasshopper cocktail and covered in tons of hot fudge sauce. The best dessert ever is ready in just 15 minutes! Perfect for St. Patrick's Day or any day. I may have mentioned a time or three how much I love tiramisu's. The classic Italian dessert features layers of flavors and starts with lady fingers (I prefer the Savoiri cookies) soaked in flavorful alcohol then is topped with an incredible cream mixture that totally blows my skirt up! I am a little bit of a rebel (shocking huh?). So, I really enjoy taking the classic and putting a twist on it. This twist is probably our favorite so far. 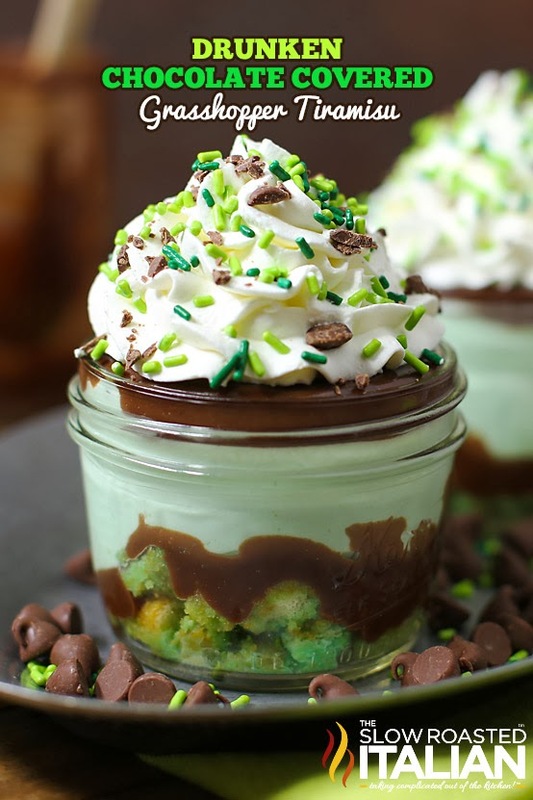 Lady fingers soak in a Grasshopper cocktail and are crumbled in the bottom of your trifle dish, a layer of hot fudge sauce envelops the grasshopper flavored cookies. A layer of mint flavored cream tops the fudge and then another layer of scrumptious fudge is topped with whipped cream. It's truly a dessert that will knock your socks off. Perfect for St Patrick's Day and EVERYDAY! It is ready in 15 minutes and is perfect for everyone (with alcohol substitutions). Check out these fantastic, twists on the classic tiramisu ready in 15 minutes or less from our Simple Kitchen: Click on the image or the link and it will open each one in a new tab. To create your grasshopper dip, combine 2 ounces creme de menthe, 2 ounces creme de cacao, and 2 ounces of heavy cream (1/4 cup), in a shallow bowl. Set aside. In a tall mixing bowl, using an electric mixer, beat cream cheese and powdered sugar until smooth. Add 3/4 cup cream and 2 ounces creme de menthe and beat until mixture comes to stiff peaks (when you turn the mixer off, lift the beaters out of the mixture, the cream will stand up). Place cream in the refrigerator until ready to use. One at a time dip ladyfingers into grasshopper dip (dip each side for approximately 3 seconds) and crumble into bottom of 4 ounce jar or bowl. Crumble 1 1/2 ladyfingers into the bottom of each jar and press down to even crust out. 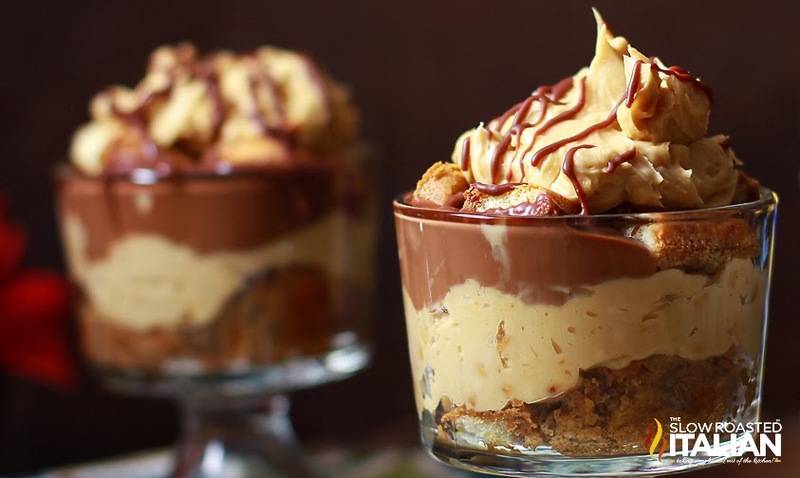 Add a dollop of hot fudge sauce to each trifle. Top with 1/4 of the cream mixture into each dish. Top cream with 1/4 of the remaining fudge in each dish. Top with whipped cream and sprinkles. Serve and enjoy! COOK'S NOTE: Alcohol substitutions - substitute the grasshopper dip with 6 ounces milk with mint extract and green food coloring added in. Add a drop at a time until desired flavor and color is reached. Substitute the creme de menthe in the cream by eliminating the alcohol and adding mint and green food coloring until desired flavor and color are reached. Could those be any cuter? I think not! 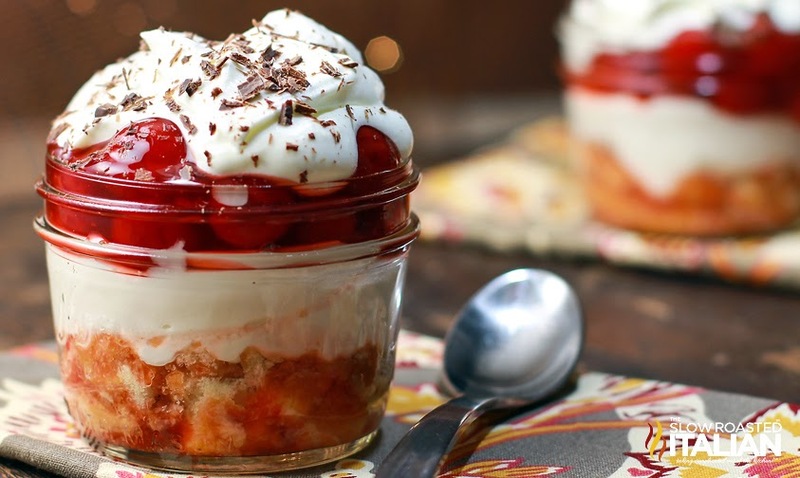 You are the queen of cute little individual trifles --- I love this one, especially those sprinkles <3 And to think, I actually have a package of lady fingers in my cupboard just waiting for something like this to come along! 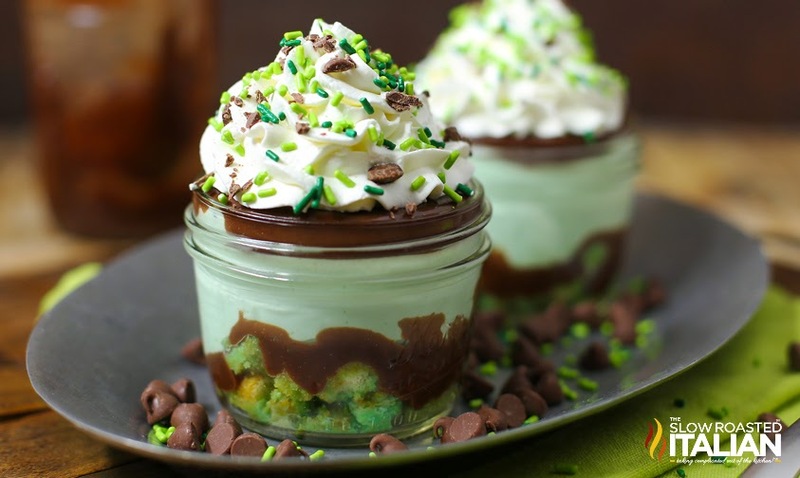 Yum, love the grasshopper tiramisu dish idea! Looks creamy and delicious.